Nilgiri’s Nest is a strategically located hotel in Coimbatore that is only 2 Kms from the railway station and 9 Kms from the airport. The hotel offers memorable stay and is an ideal place for leisure or business traveler. The hotel doesn’t disappoint in the range of services offered to its guests. The various services include travel desk, doctor on call, parking available on site and safety deposit lockers. The hotel also has state-of-the-art conference halls that are well-equipped to handle all your business needs. The hotel has 38 well-appointed rooms that are sure to delight many categorized into deluxe Suites and Standard rooms. 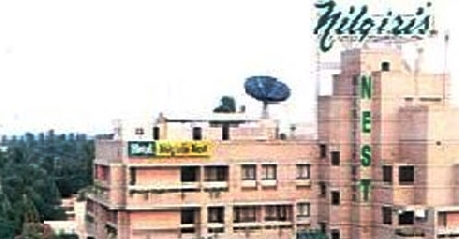 The rooms are air-conditioned and offer round the clock room service that is very convenient. The hotel has a bar and a multi-cuisine restaurant called Wellington on premises. The deluxe suites in the hotel offer every comfort that is imaginable. These rooms come nicely furnished with a double bed, wardrobe, work table, coffee table and chairs. The interior is color coordinated and easy on the eyes. The room comes with many modern amenities like direct dial telephone, satellite T.V and tea/coffee maker. The attached bathroom comes with 24 hours running hot/cold water and shower. Standard rooms come in variance of double/single rooms. The rooms comes with a large bathroom that is fitted with modern fitting and comes with hot/cold water and shower. 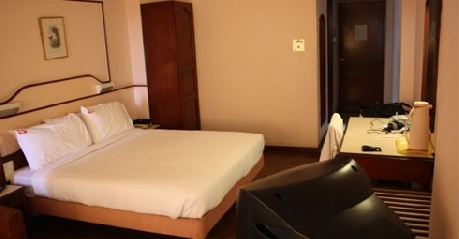 The various in-room facilities include tea/coffee maker, satellite T.V and direct dial telephone. he hotel has 38 well-appointed and elegant rooms that act as the guest's cocoons of comfort. The various in-room facilities offered by the hotel are round the clock room service, H/C running water, Telephone, Fax, Channel music & Satellite TV, Tea/coffee maker. Wellington serves multi-cuisine dishes and is a popular choice among the locals for a delicious meal. The personalized service meets outstanding menu that is sure to open up your sense. Rejoice in the unique aromas and savor the taste. Ketti is the vibrant bar that is a great place to unwind with a few drinks at. Walk in with your clients or a group of friends and let the fun begin. The uplifting ambience coupled with heady liquor makes for a nice combination. The bar comes well stocked with Indian and foreign brands.